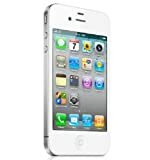 This is a white AT&T iPhone 4 8gb. I bought it brand new. Has never been dropped. It's a wonderful to have and easy to use. It is not jail broken.